Caran D'ache Fancolor is the new line dedicated to all those who are looking for high quality, simple, safe and green products. The Fancolor Watercolour Pencils are available in several different pack sizes up to 40 colours from our site and are made with FSC certified wood from managed forests. 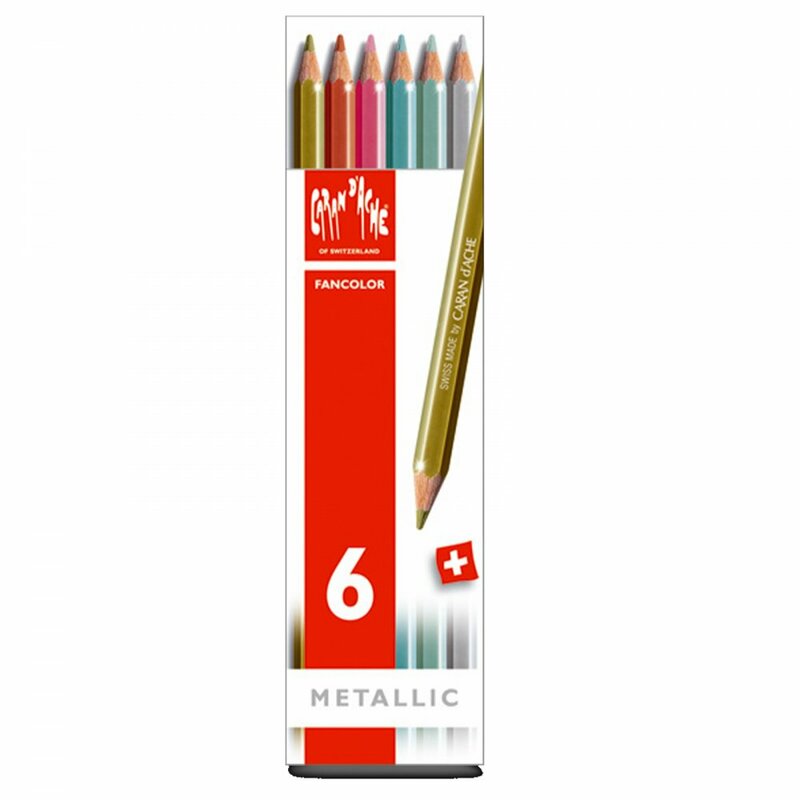 Tin contains 6 pencils of exceptional quality.